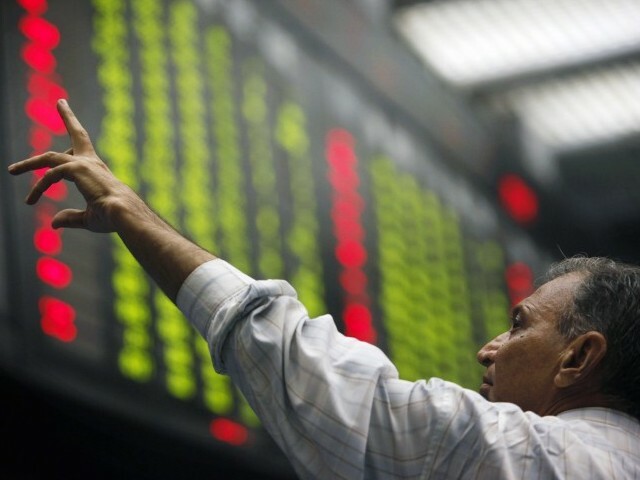 KARACHI - Stocks closed higher Wednesday amid thin trade in the corporate earnings announcement session on strong valuations after easing political concerns on President�s election. �Market remained range-bound due to absence of any major trigger. This kept investors on the sidelines which resulted in decline in volumes by 29 per cent to Rs7.25b compared to previous day�s activity. National Bank, PTC and FCCL remained the top volume leaders,� equity expert Mohammad Rizwan observed here on Wednesday. At local equity market, the benchmark KSE 100-share index posted a fresh gain of 27.97 points or 0.12 per cent to stop the day at 23312.78 points as compared to 23284.81 points of the previous session. KSE allshare-index went up by 59.60 points or 0.36 percent to end the day at 16614.981 points, KSE 30-share index added 10.54 points or 0.06 percent to finish the day at 18162.78 points while KMI 30-share index increased by 19.14 points or 0.05 percent to conclude the session at 40774.47 points. Wyeth Pak Limited held the position of top price gainer, up by Rs 80 to Rs 1830, followed by Siemens Pakistan, increased by Rs 45.30 to Rs 951.43. Rafhan Maize and Exide (PAK) XDXB were the top losers of the day, decreased by Rs 45 to Rs 5125 and Rs 19.35 to Rs 367.79. Trading took place in 354 companies where losers beat the gainers by 172 to 160 while the values of 22 stocks remained intact. Rally was led by selected oil, energy and banking stocks on speculations ahead of earning announcements and expectation for early approval of National Power Policy rationalizing tariffs in energy sector by CCI. Renewed foreign interest and step taken to ease falling rupee dollar parity played a catalyst role in bullish activity at KSE despite concerns for uncertain global stocks and commodities. Market traded 141.252 million shares after opening at 202.237 million shares and the value of traded shares decreased to Rs 7.258 billion from Rs 10.7275 billion. Capitalization of local bourse maintained at Rs 5.711 trillion compared to Rs 5.691 trillion of a day earlier. Active list was topped by PTCLA with 15.262 million shares as it closed at Rs 28.11 after opening at Rs 27. National Bank was on the second position with 13.875 million shares. It was followed by Fauji Cement with 9.557 million, Sui South Gas with 8.339 million, Maple Leaf Cement with 6.220 million, TRG Pakistan Ltd with 5.840 million, BOP with 5.718 million, Engro Corporation with 3.787 million, Lafarge Pak with 3.764 million and Sui North Gas with 3.569 million shares respectively.